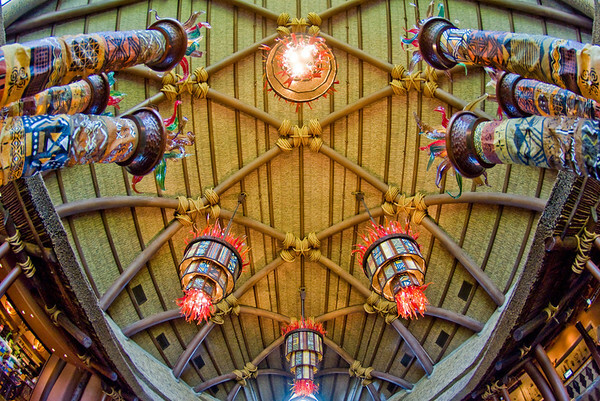 Every restaurant at Walt Disney World has its own unique theme and backstory, so ranking the top 10 best themed Walt Disney World table service restaurants is no easy task. Some restaurants are more subtle in their theming, conveying their Imagineered backstory through barely-noticeable props and photos on the wall. Others offer something unique that isn’t necessarily a part of any elaborate backstory, but is simply an element that makes the experience more entertaining than your average restaurant. In the most extreme examples, the theme and story are abundantly clear, as the restaurant puts the guests on what could pass as a movie set, making them a part of the action. Of course, even at Walt Disney World where show and story reign supreme, a good themed restaurant also must have good food. After all, it is a restaurant! Our list takes a highly unscientific approach to ranking these restaurants. 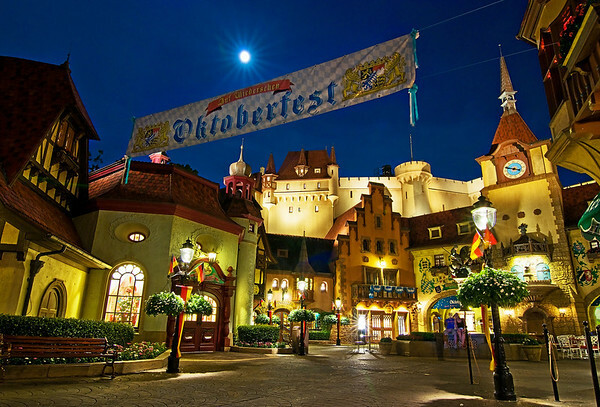 Since this is a list ranking restaurants based upon theme, and because we think a well-executed theme is more important in the theme park environments of Walt Disney World than it is in the real world, we weigh the theme more heavily than the cuisine. Restaurants with food that borders on inedible don’t make our list, but merely “decent” food will drop a restaurant’s ranking, but not bump it completely from the list. Our rationale for putting so much weight on theme? Weeks after you visit a Walt Disney World restaurant, your kids probably won’t be raving over one burger they had versus another, demanding that you phone Zagat immediately. However, they may light up when talking about the time they ate in a classic car outside at night while watching sci-fi movies when it was actually daytime in the “real” outside! 10. Beaches & Cream – It seems like Beaches & Cream finds itself on every top 10 list we make for Disney Dining. What can I say–we love the place. It combines a charming, bygone-era soda shop with great food and cheap prices. What’s not to love?! The theme here is fun and well-executed, but it’s those latter two variables (great food and cheap prices) that separates Beaches & Cream from the pack to give it the last spot on our list. 9. Garden Grill – This is the lone character meal that makes the list, and its presence has nothing to do with characters. Instead, Garden Grill makes the list because it rotates and offers views into Livin’ with the Land during the meal. It also serves some of our favorite cuisine at any ‘all you care to enjoy’ restaurant, some of which is sourced from the greenhouses in Epcot. Ride Livin’ with the Land before or after your meal to complete the themed experience (and to learn something about your meal in the process!). 8. Sanaa, Boma, and Jiko – Of course no top 10 list would be complete without a bit of a cop-out. Each of these three restaurants has a distinct theme, but they’re all similar enough that we’re rolling them into one. Each of these restaurants have some great African art and design, with their own twists as to why they are compelling choices. Sanaa features a view of animals grazing on the savanna, Boma executes the mood and look of an African marketplace, and Jiko has a more refined feel with brilliant lighting mimicking the sunset. 7. Coral Reef – There is no question that Coral Reef excels when it comes to atmosphere. The restaurant features tiered seating with one entire wall being a window into the large Living Seas tank. Disney claims this is the largest inland saltwater environment ever created, with more than 85 species of tropical fish. We recommend arriving early for your reservation (or, ideally, making a reservation for the very first seating of the day) and requesting a seat next to the tank. Even if you have to wait a little longer for a close view, it’s worth it. Coral Reef also has fish spotting guides to make the experience more fun! 6. Whispering Canyon Cafe – Whispering Canyon is an open-air restaurant offering views into the expansive lobby of the Wilderness Lodge, with some “Old West” design touches in the restaurant itself. It’s the service here, though, that is a spectacle in itself. The waiters and waitresses gently pick on guests, making meals a real hoot. Via Google, you can find some things to say that will typically cause a “reaction” from the wait staff, but we recommend that you just go in and let the act naturally unfold for you. Whispering Canyon Cafe also has some excellent American favorites. 5. Hollywood Brown Derby – The first of three restaurants in the top 5 located in Disney’s Hollywood Studios (quite a feat for a park widely considered to have the worst dining, overall), the Hollywood Brown Derby makes the list for its mix of brilliant old hollywood charm and excellent cuisine, and because it’s a rare fine-dining experience inside a theme park. 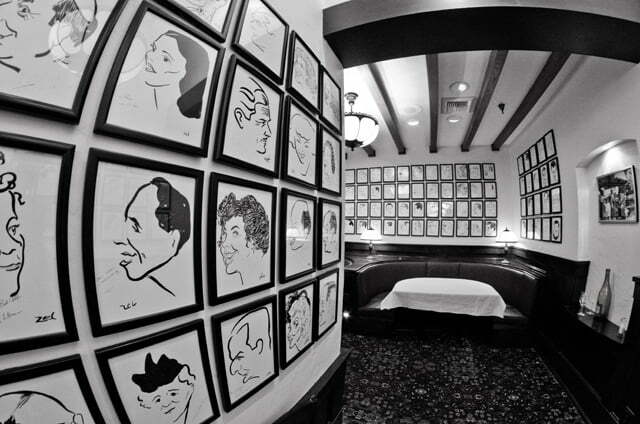 Not only is the restaurant’s design themed after the original Hollywood Brown Derby, but the menu draws inspiration from the original, too. Talk about getting the details right! 4. Be Our Guest Restaurant – Added to the Magic Kingdom as part of the New Fantasyland expansion, Be Our Guest Restaurant puts guests inside Beast’s Castle. 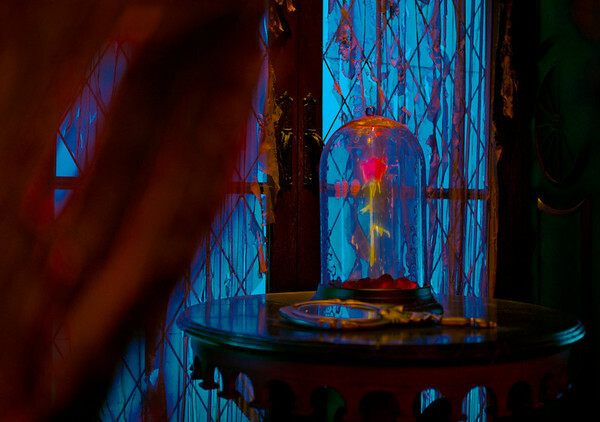 Be Our Guest Restaurant ranks highly for its special effects, including snowfall outside the ballroom, and falling rose petals in the beautifully designed (and spooky) west wing. 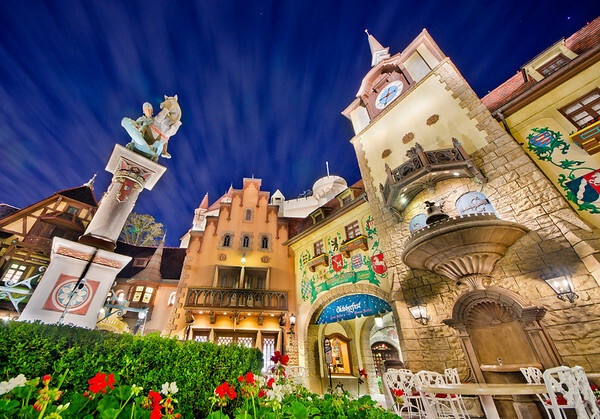 If dinner turns out to excellent, Be Our Guest Restaurant might just leapfrog Biergarten and 50s Prime Time Cafe! 2. 50′s Prime Time Cafe – My parents’ favorite restaurant at Walt Disney World when I was a kid, we always dined here on our annual trips. Here you’re dining in Mom’s house (and Mom has not updated the place since the 50s! ), and by Mom’s rules. If you put your elbows on the table or slouch, expect to be reprimanded! Mom will, however, let you watch TV during your meal, and many classic sitcoms from the 1950s play on televisions at certain tables. 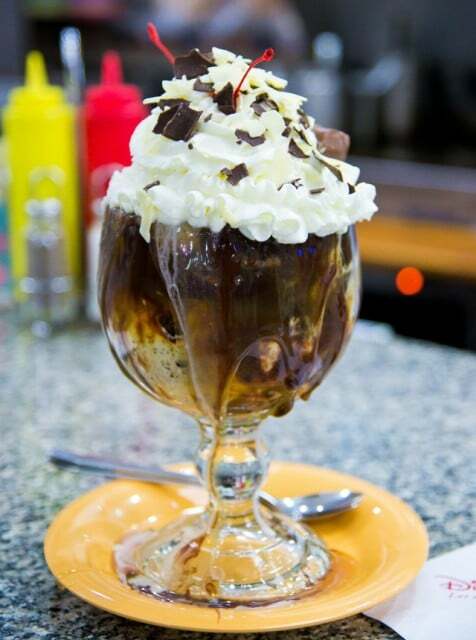 50′s Prime Time Cafe specializes in comfort food, with the highlight of the menu being the milkshakes. Even when we aren’t dining here, we frequently stop at the Tune-In Lounge to grab a quick milkshake! 1. 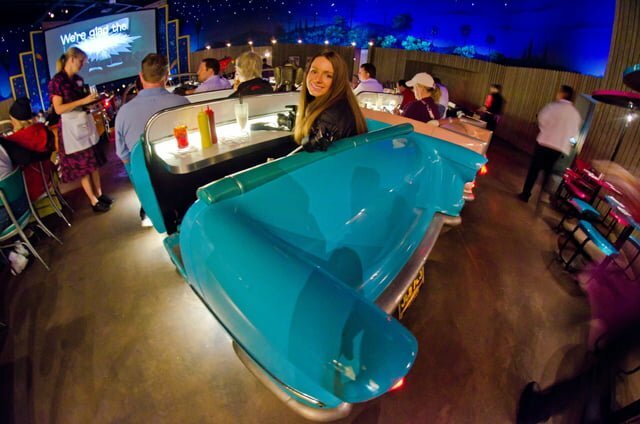 Sci-Fi Dine-In Theater – The easy number one pick for this list, Sci-Fi Dine-In Theater is the go-to restaurant for a themed dining experience at Walt Disney World. The dining area is a classic drive-in movie theater at night, complete with a large screen showing classic sci-fi B-movies from the 1950s. To complete the experience, the tables are classic 1950s cars! Another layer is piled on top of this, as the whole drive-in area is actually a hollywood set, making guests the star of whatever sci-fi B-movie is being filmed at the drive-in. It’s a story within a story! The main drive-in theme is fairly obvious (and awesome), but that extra layer of the movie set is something you’ll need to look for as you enter the lobby. Check out the various little details, such as labor law signs, that help pull this off. As stated above, there are so many restaurants that have excellent themes that it’s difficult to narrow the list down to just ten restaurants (or in this case, twelve). Some restaurants that are notably absent are T-Rex Cafe, San Angel Inn, and Cinderella’s Royal Table. This is because we haven’t dined at any of these restaurants in recent years. Despite its cool theme, T-Rex Cafe is a no go for us. It’s run by Landry’s (the company behind Rainforest Cafe) and we’ve heard too many bad things about the food to give it a shot. 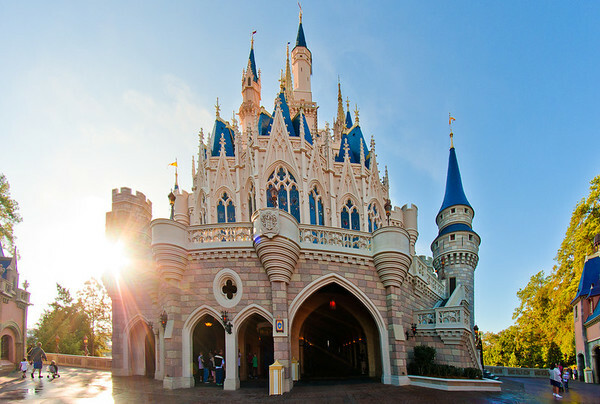 Plus, it’s not unique to Walt Disney World (there’s one in Kansas City). San Angel Inn is a restaurant on our list of places to try, but it keeps getting bumped because we’ve also heard not-so-flattering things about the food. That said, it might be worth it just for the restaurant’s location along Gran Fiesta Tour. Finally, Cinderella’s Royal Table offers an incredible view and dining with princesses, but it’s insanely expensive due to the location. If you have young girls (we don’t), this restaurant would likely rank highly on your personal top 10 list, despite the price and so-so food. Other honorable mentions that we like, but just couldn’t quite make the list include California Grill, ‘Ohana, Mama Melrose, and Yak & Yeti Restaurant.